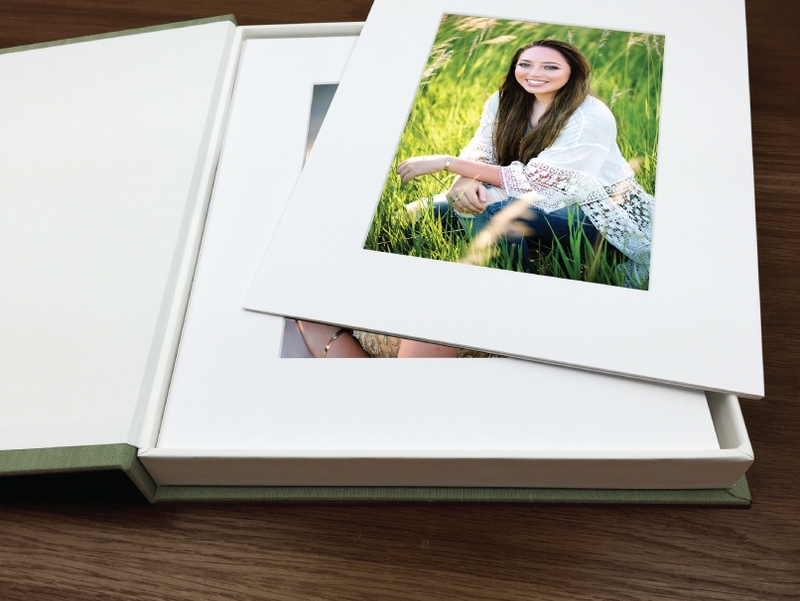 DIY Photo Mats are an easy, interchangeble way to display Photographic Prints. Mats are 1/8" thick when self-assembled using double-stick tape (not included). Mats have a buffered acid-free surface, core and backing paper. Available in White only, sold in sets of 10. In-lab turnaround time is 1-2 business days. 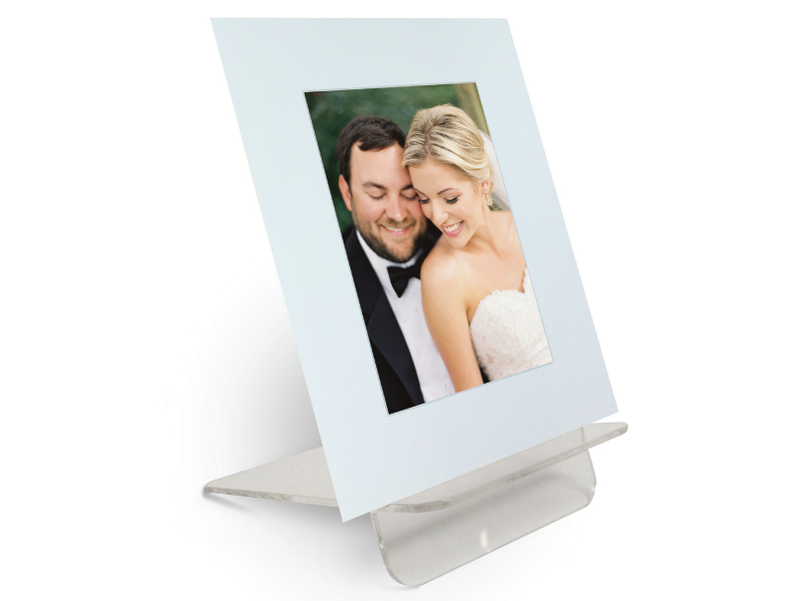 Mat your Photographic Prints with DIY Photo Mats and display them on an Acrylic Easel for the table or mantel. Or place matted prints on a picture ledge for a creative wall display. Beautifully store and protect your Photographic Prints in our DIY Photo Mats and handmade Folio Collection Image Box. Boxes are available in 8x10" and 11x14" sizes. Varying depths up to 3.5" hold a maximum of 33 matted prints. See the Folio Collection for details. 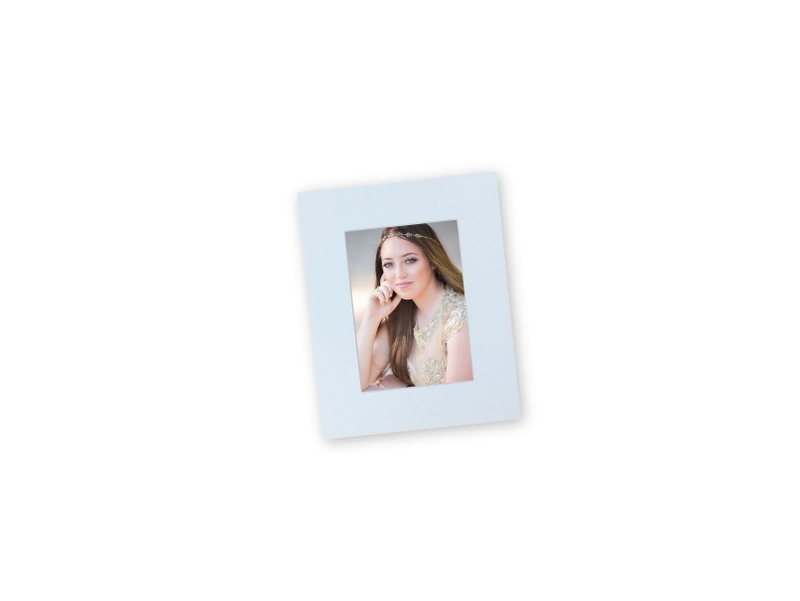 Our 8x10" DIY Photo Mat has a 4.5 x 6.5" opening and fits a 5x7" print. Mat is 1/8" thick when assembled. 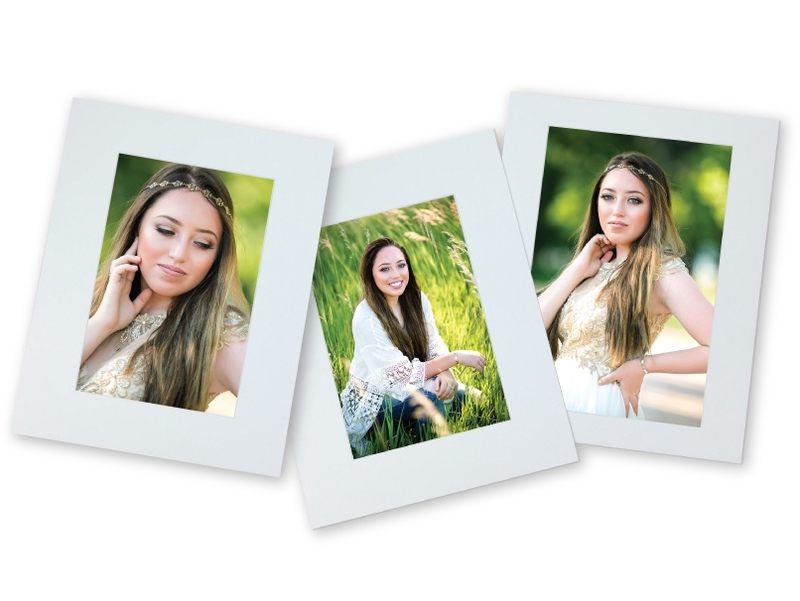 Our 11x14" DIY Photo Mat comes in your choice of 3 openings. Small opening is 6.5 x 9.5" and fits a 7x10" print. Medium opening is 7.5 x 9.5" and fits an 8x10" print. Large opening is 7.5 x 11.5" and fits an 8x12" print. Mat is 1/8" thick when assembled. Mat your Photographic Prints in our DIY Photo Mats and store them in our handmade Folio Collection Image Box. Boxes fit 8x10" or 11x14" mats sizes. To see how many matted prints fit in a box, see our Folio Collection Box Inside Specs for details. Visit our Retouching Services page for more information.